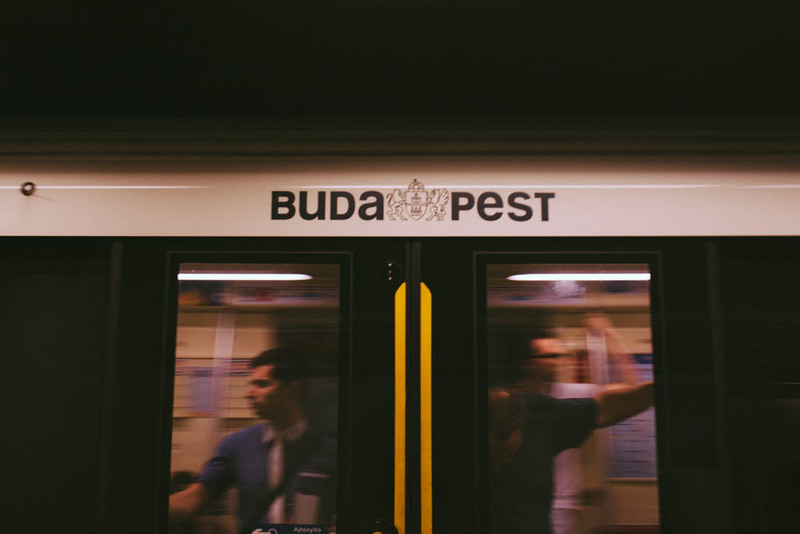 The minute we walked out of the airport and onto the subway bound for center of Budapest – I knew it. This was my city. Sometimes you just get that feeling. Very rarely is it wrong. 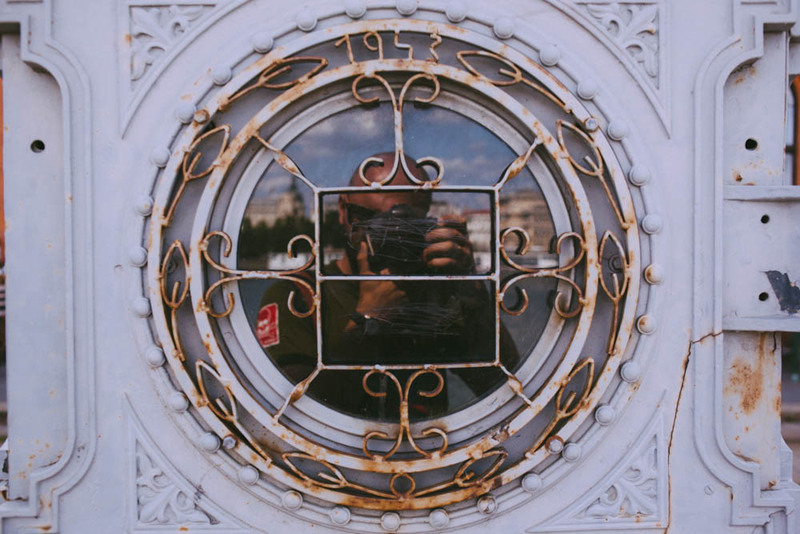 And this time, this feeling grew and expanded until I was about to burst – that’s when we walked into a friend’s flat that we were kindly loaned for a few days to call home. At this point Sergey and I just looked at each other, reached for our iphones to check the calendars to see what could be re-arranged to spend the rest of our life to spend just a little more time, any amount really, in Budapest. We were in love, and this feeling only grew stronger every day. Széchenyi Chain Bridge spans the Danube river connecting Buda and Pest, Hungary. 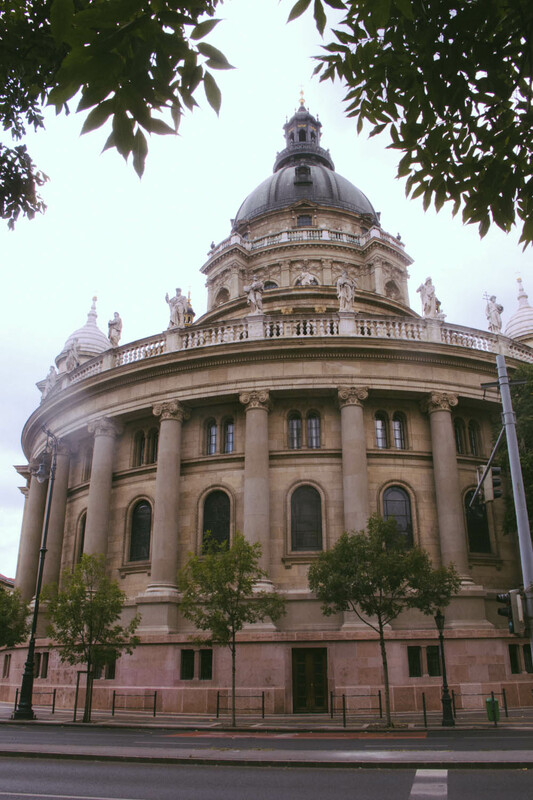 The best way I have found to describe Budapest is if you take the the lively and trendy cafes, bars, and restaurants combined with the slightly hipster, somewhat arty ambiance of Prospect Heights in Brooklyn and transplant all of that over to the ultra-walkable, stunning and elegant Paris you will get Budapest. Only at a much better price point and with world’s best swimming pools and glorious steam baths thrown in for good measure. The historic grand central train station, ornate apartment buildings, and picture perfect cafes – what more could you want from life? Budapest, Hungary. The only negatives I can possibly think of for Budapest is that Hungarian language is a tongue twister and English isn’t exactly common…which was totally fine except for that time when Sergey bought a beer to enjoy over our al fresco meal on the balcony of the apartment to find that it tastes a bit funny. Literary not a single word on the can was in English, so after some googling we’ve discovered that alkoholmentes sör means non-alcoholic beer. Ah well, another word to add to our three-word arsenal in Hungarian. We struggled through köszönöm (thank you)and hello every time, but Hungarians themselves were kind and friendly enough to encourage our efforts. And we just watched out for the pesky alkoholmentes sör and had no more surprises. But really, this is being picky and only because I have to say how could Budapest be the best ever since we’ve never even heard or considered it to be up there in the dream destinations? 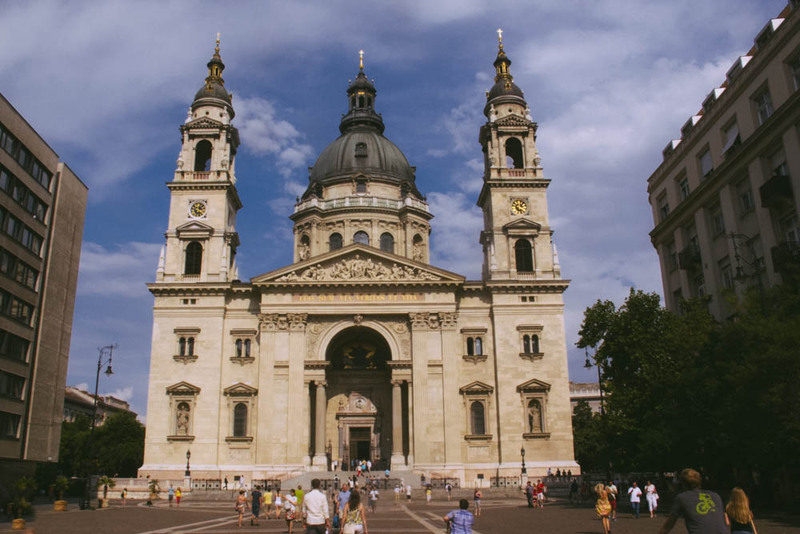 St. Stephen’s Basilica, a Roman Catholic Church named in honor of the first King of Hungary. 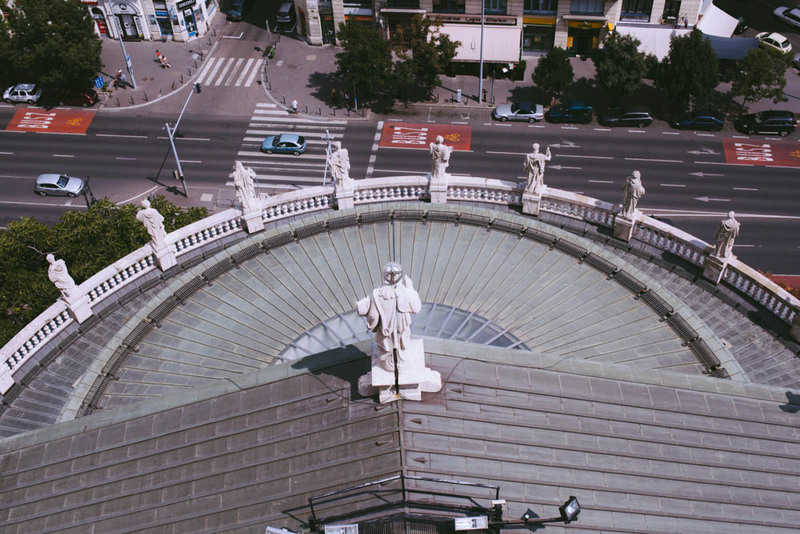 You can go up to the tower for a great panorama of Budapest, Hungary. 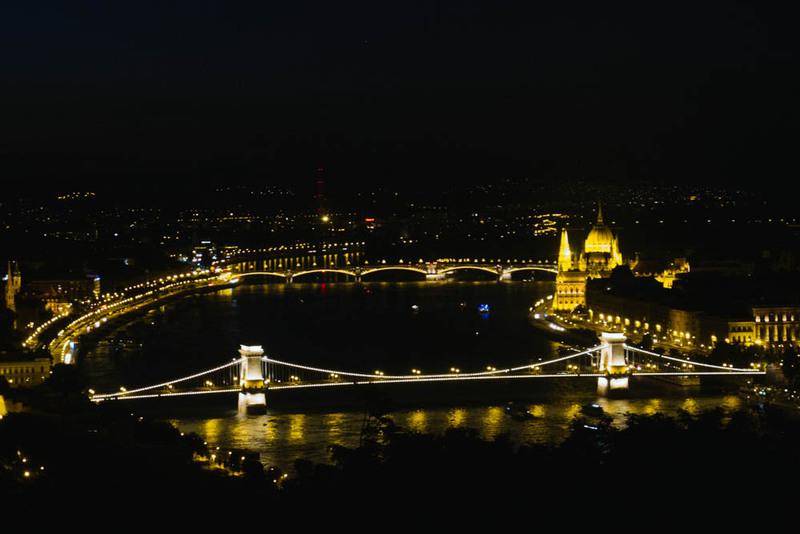 Maybe that is Budapest’s secret – it is able to hold on to its charm by keeping its super awesomeness on the down low from everyone… otherwise it would be swarmed by visitors and tourists who would never leave. Other than that, I can’t see how is it that Budapest remains a fairly low key and less traveled destination (not to say that it’s deserted of tourists, but it’s just not overwhelmed by them like central Paris or even Prague). 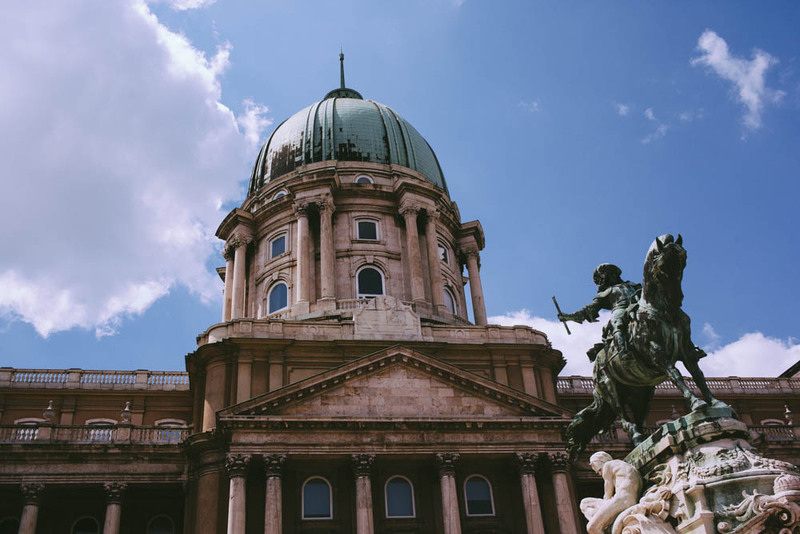 St. Stephen’s Basilica, Budapest, Hungary. 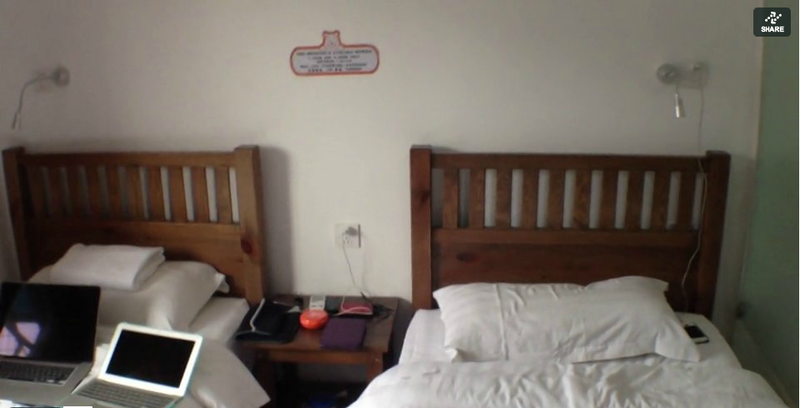 There are plenty of itineraries out there for Budapest, so I won’t give you one. 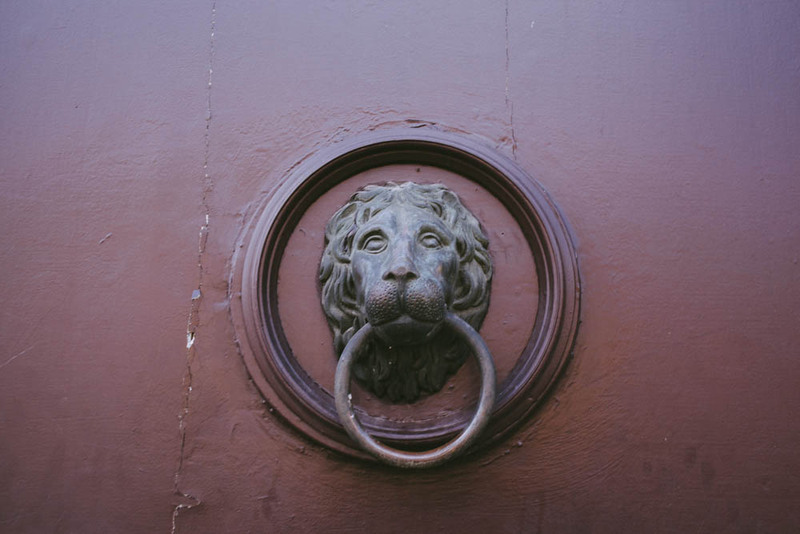 What I will tell you – is that you don’t need one. 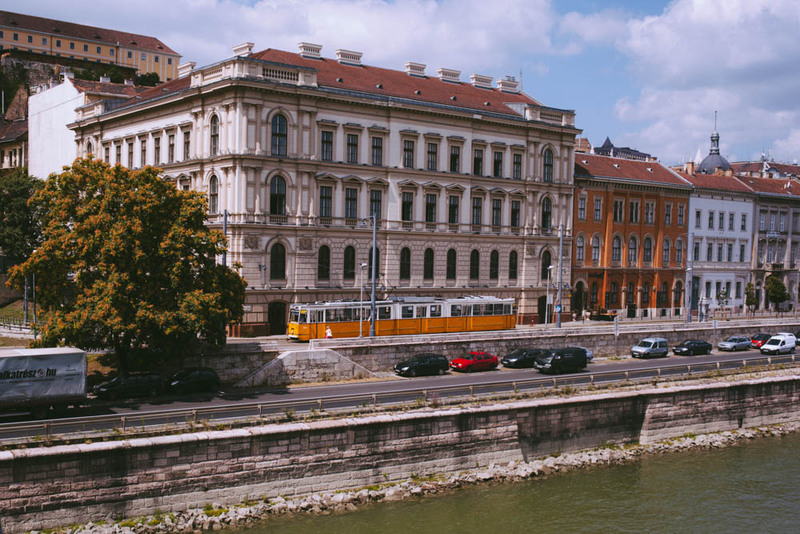 Budapest is compact, walkable, beautiful city where just strolling down the street, or hanging out in a city square should be in the top five attractions. 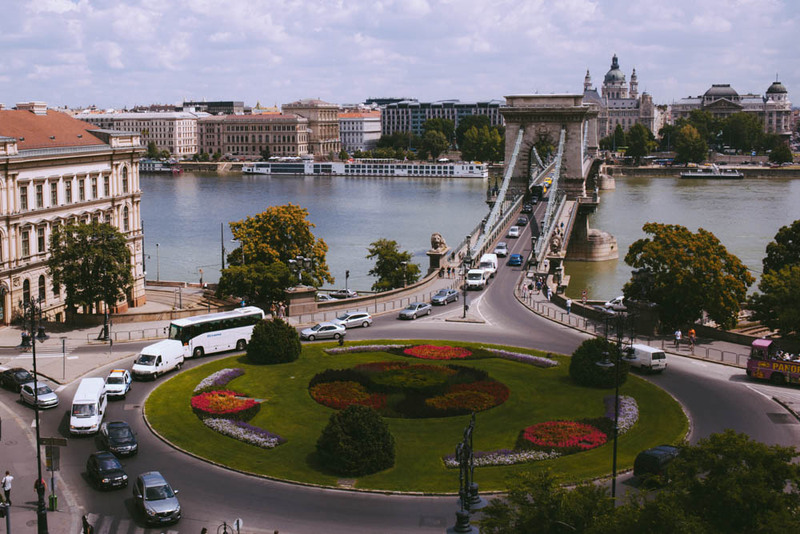 It’s also pretty easy to orient yourself — the city is actually made up of two parts, Buda and Pest, which were proper cities in their own right until 19th century. 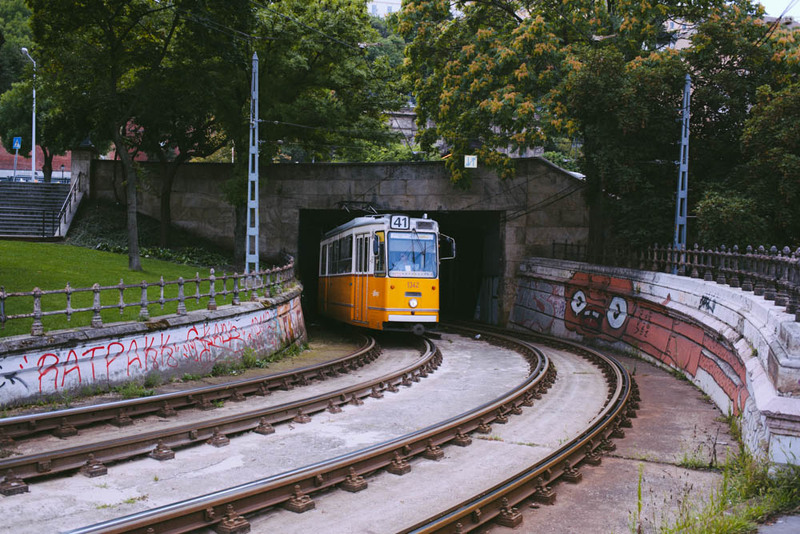 Budapest’ underground transit it the oldest electrified underground railway system in Europe — in addition to modern cars and stations, the first line of the metro has preserved its original artwork and rails. Budapest, Hungary. Danube river flows between the two, drawing the line between hilly Buda and flat Pest. 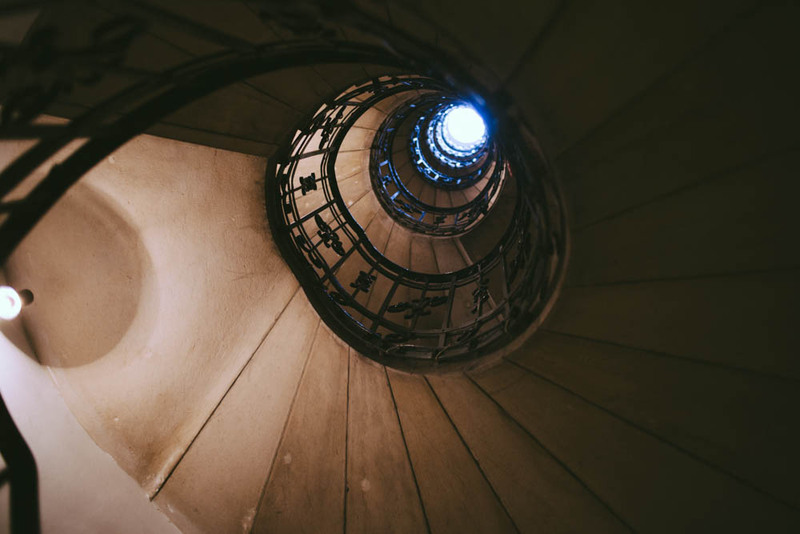 I would recommend selecting a few things you want to see on each side, and then just wander — you’ll likely hit all the major landmark sites anyway. Over on the Buda side there’s the Castle Hill, Buda’s Old Town, complete with a castle and a 13-th century Gothic Matthias Church, and the famous Fisherman’s Bastion — which ironically isn’t all that old and not that historic – built between 1895-1902 to celebrate 1000 years of Hungarian state, it’s primary purpose was to commemorate history and create an impressive viewing platform — in other words nothing famous ever happened here. Pretty much every angle on the hill offers a fantastic panorama view of Pest, with arguably Europe’s most beautiful Parliament, and the city’s famous Chain Bridge. 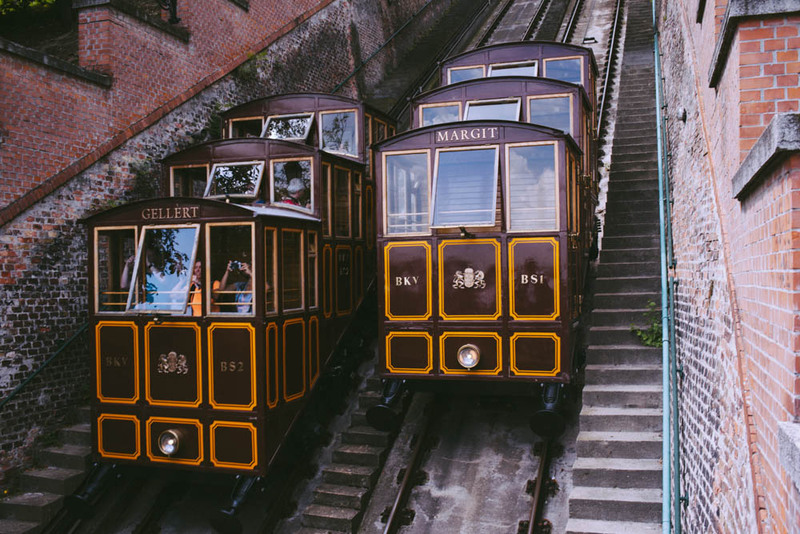 My favorite bit though was watching the funiculars travel up and down the hill, I just had the soundtrack from Hotel Budapest stuck in my head, and it was absolutely dreamy. 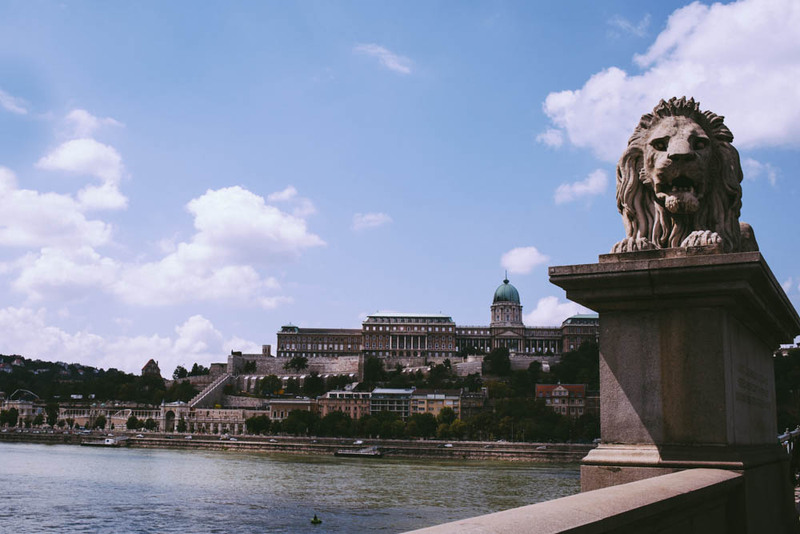 Buda castle, monument to Prince Eugene of Savoy, and the view of Chain bridge. Buda side, Budapest, Hungary. 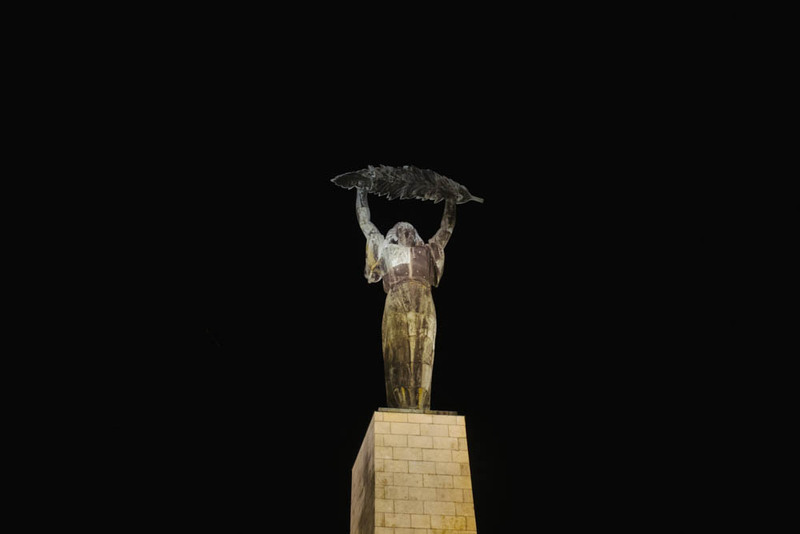 Also on the Buda side is Gellert Hill, with a communist era Liberty Monument, which looks a lot like Motherland statues strewn around former Soviet republics. I am pretty sure it was made in the same factory. 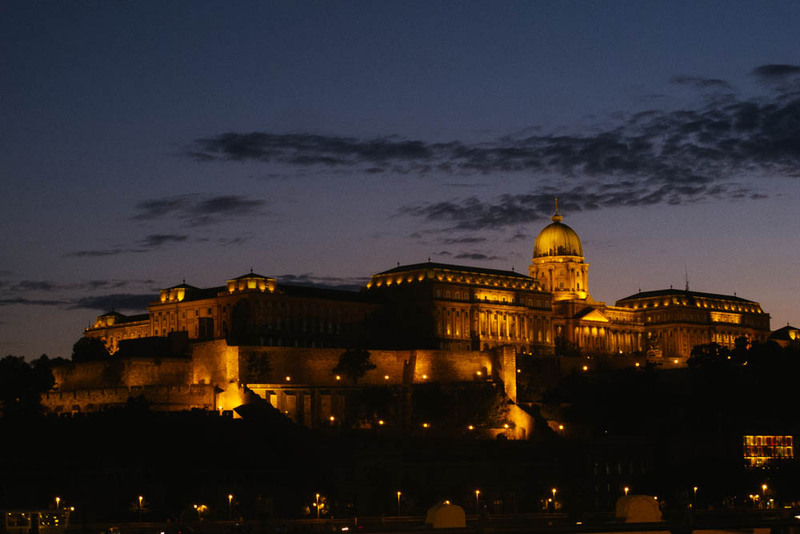 Gellert Hill has fantastic views as well, and is particularly pretty at night. 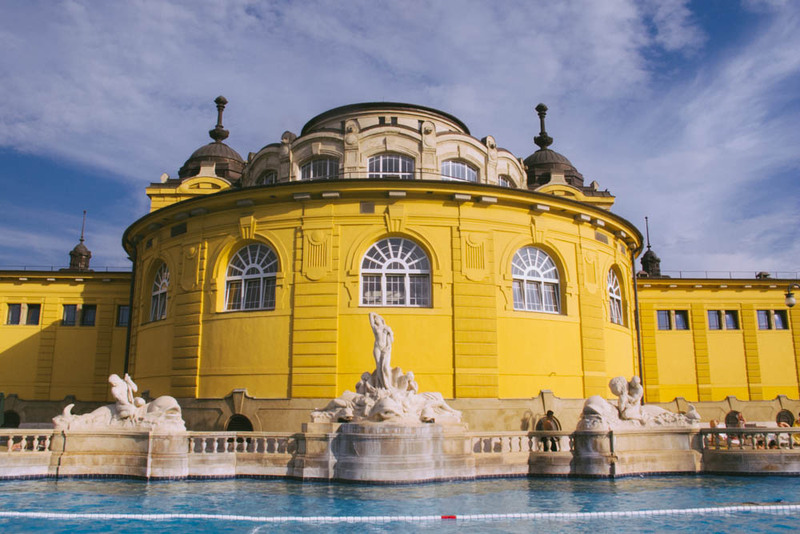 Over on this side, there’s also the fancy, blue Gellert steam baths and pools. View of Budapest and the Liberty Statue over on the Gellert hill, Buda side, Budapest, Hungary. 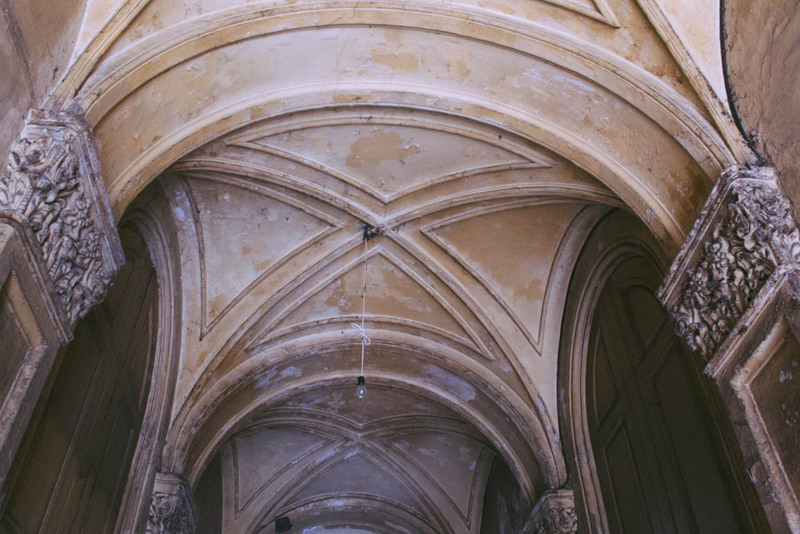 Over on the Pest side, I loved my (rather expensive) visit to the Parliament – but I would only recommend if you enjoy baroque interiors and don’t mind group tours. Right by the parliament there is a poignant memorial to the holocaust that everyone should visit. 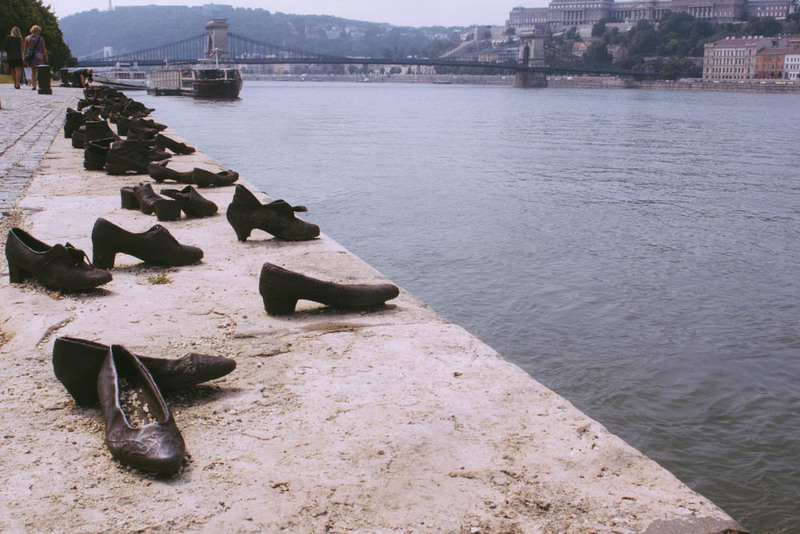 Sets of bronze shoes commemorate the Jews who were shot into the Danube by fascist militia during WWII. Men, women and children were ordered to take off their shoes (valuable commodity at the time) before the execution. 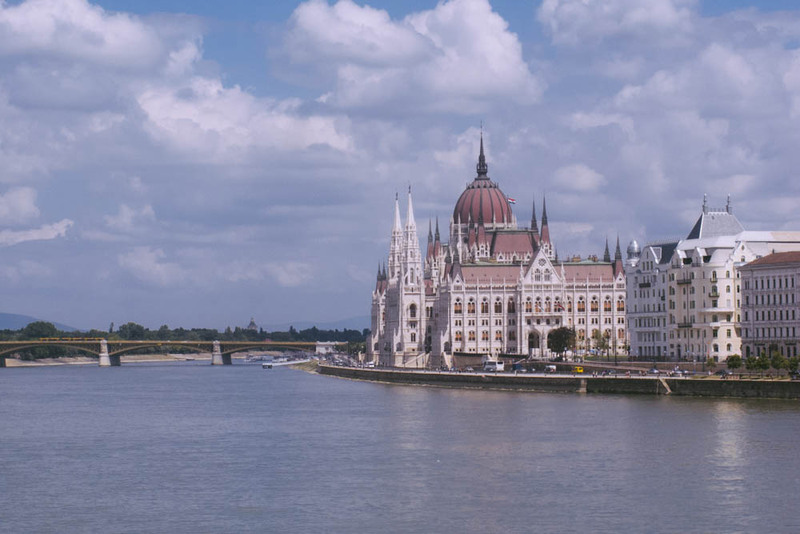 Hungarian parliament and holocaust memorial on the Danube, Pest side, Budapest, Hungary. 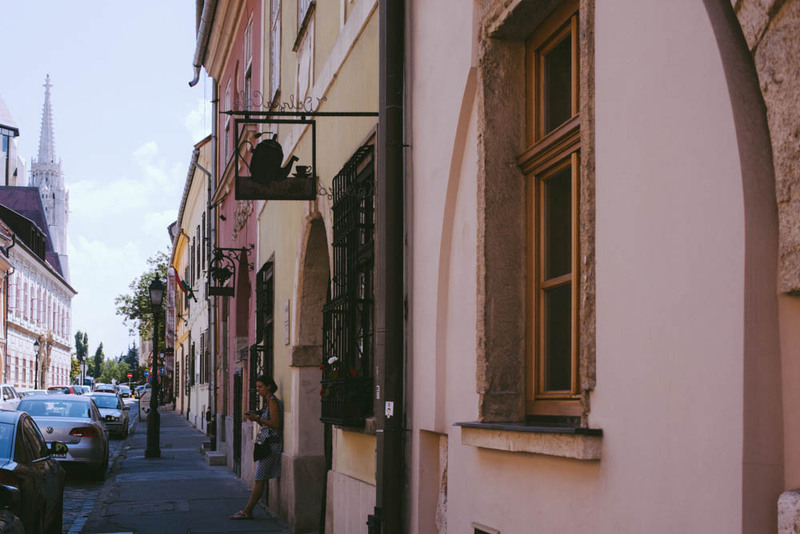 Strolling the Daube is the thing to do in Pest, day or night. 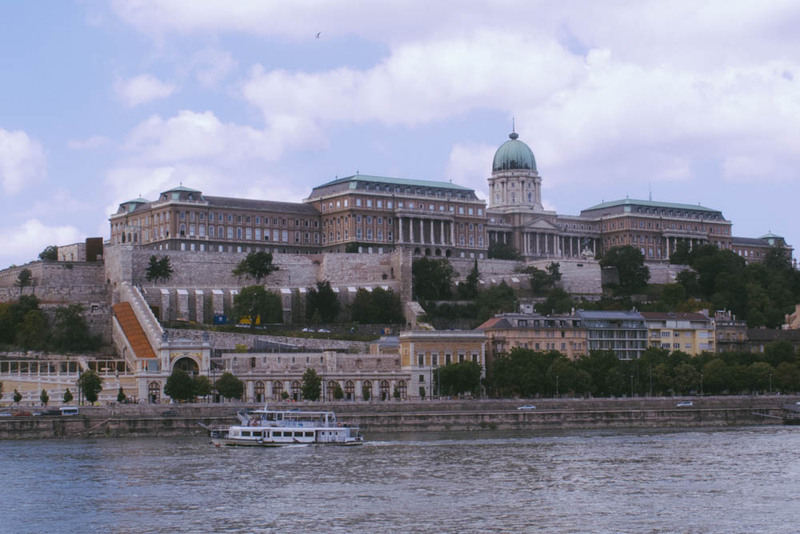 The views of Buda over the the river are mesmerizing. The lights flicker, the Castle is aglow, and you can just sit there for hours imaging all the happenings and goings since the early 12oos when the Hungarians first built fortifications on the hill to guard against Mongol invasions. Then of course came the Ottoman Empire, followed by the Austrian imperial grab, and ultimately the Soviet era. Can you imagine how much the walls of this castle have seen? Buda castle view from Pest side, Budapest, Hungary. You can also take tram 2, which runs along the entire embankment and ends up over at the central market, where lots of deliciousness can be had. 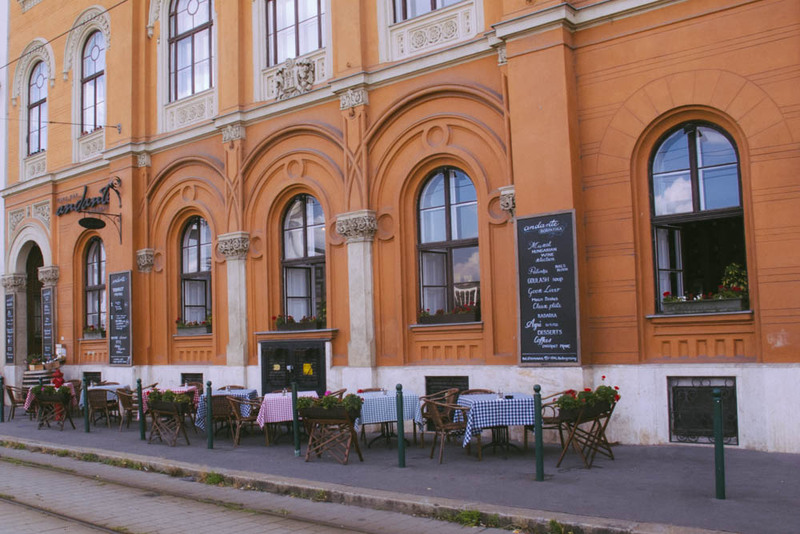 Stroll down Andrássy Avenue – the city’s oldest Boulevard, see the Opera House, St. Stephens Basilica, and many delicious cafes and restaurants. 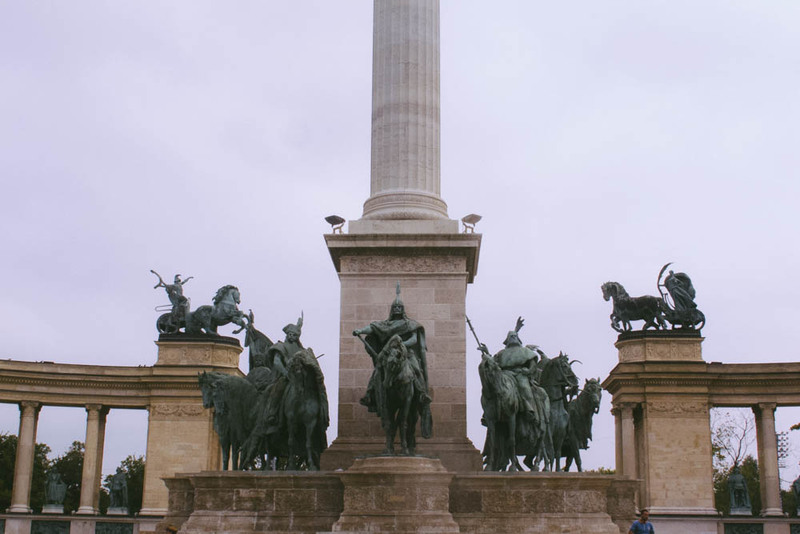 You’ll end up at Heroes’ Square, adjacent to city park and Széchenyi Baths (a MUST). The 7th district with the Dohány Street Synagogue, the largest synagogue in Europe, are super neat. 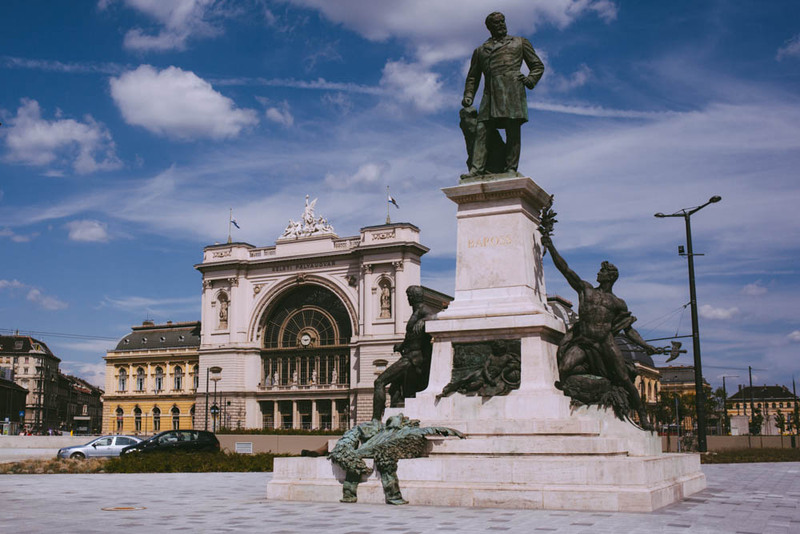 Heroes square and Széchenyi Bathhouse. Pest side, Budapest, Hungary. 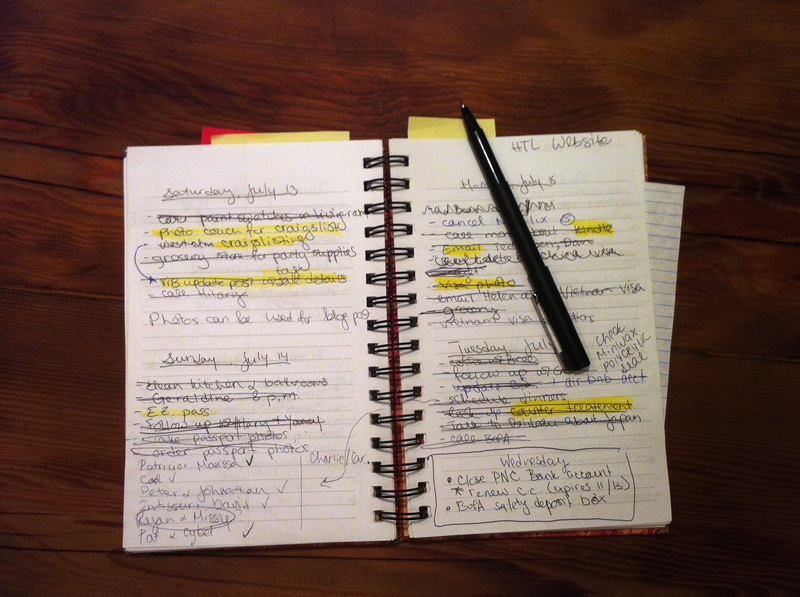 This isn’t really a catalog of things to do, or even an itinerary — and that’s on purpose. The bit that we enjoyed the most about Budapest were the people, the cafes, and the general ambiance. Its such a lively, beautiful, hip city. You can’t possibly prepare for all of that, and that’s the best part really. 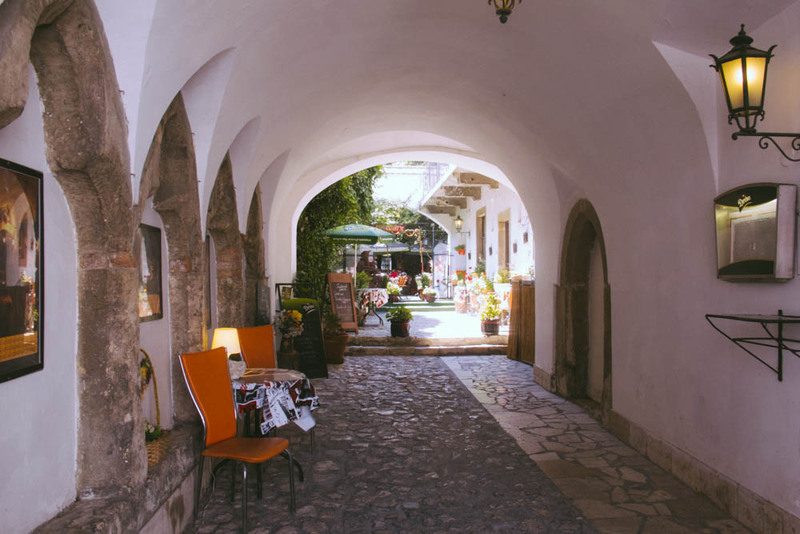 Just wonder the streets, see the grand, elegant buildings, take the romantic trams, enjoy many snacks in beautiful cafes, shop the flea markets, and take it all in. I will say this though — do your research on food in Budapest. You won’t go wrong if you just pop into cute cafes that catch your eye, but man, there is so much excellent food — our favorite place had homemade prosecco (!) on tap and delicious duck. 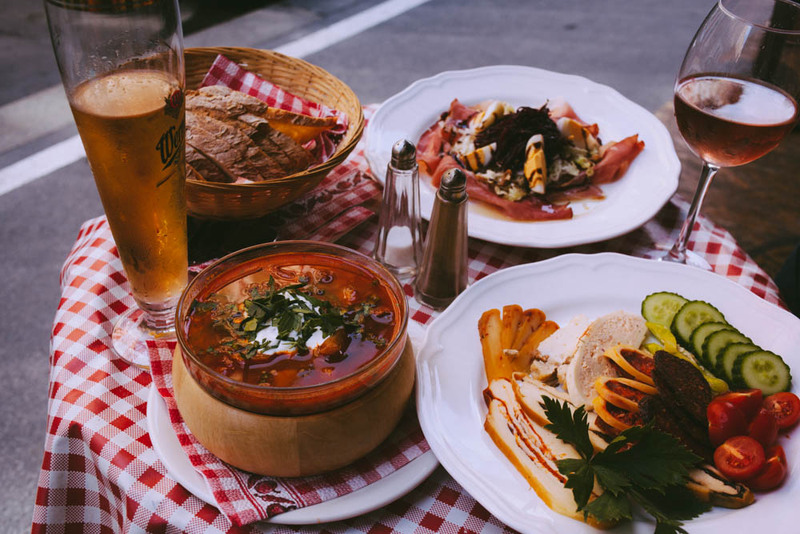 And really you don’t need to see anything specific in Budapest, instead you can really center your entire trip on just the food destinations – it’s just that good. And don’t forget to try palinka at a ruined pub! The Glorious food of Budapest, Hungary.